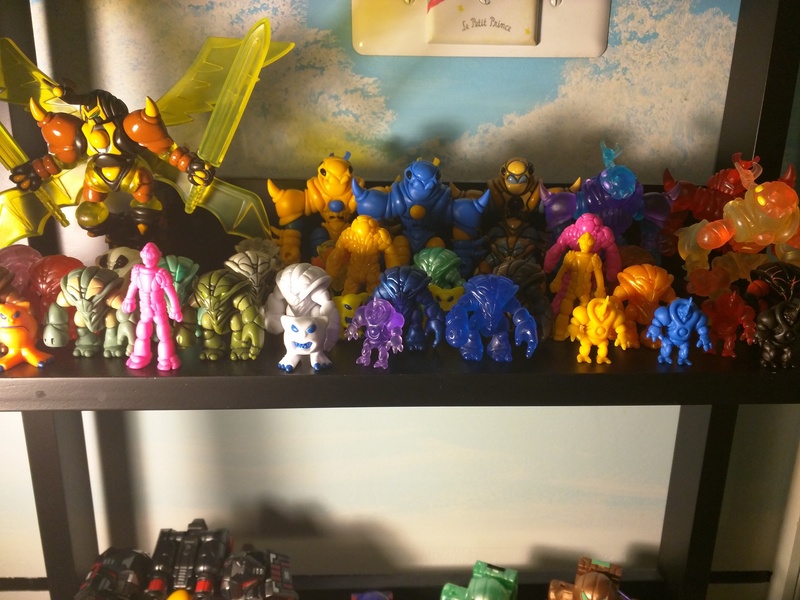 The Communal Collection & Display Photo Thread! 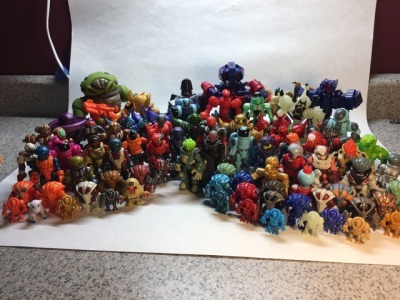 jl1828 wrote: So this is only a portion of my Crayboth Collection ( the Supers and ones which currently have a "twin") and I am starting to think I might just have a problem . . .
. . . not enough Crays! That is a problem, indeed. Fortunately, with perseverance, it can be overcome. Hey, that torso armor flip on the Glyan is pretty cool! 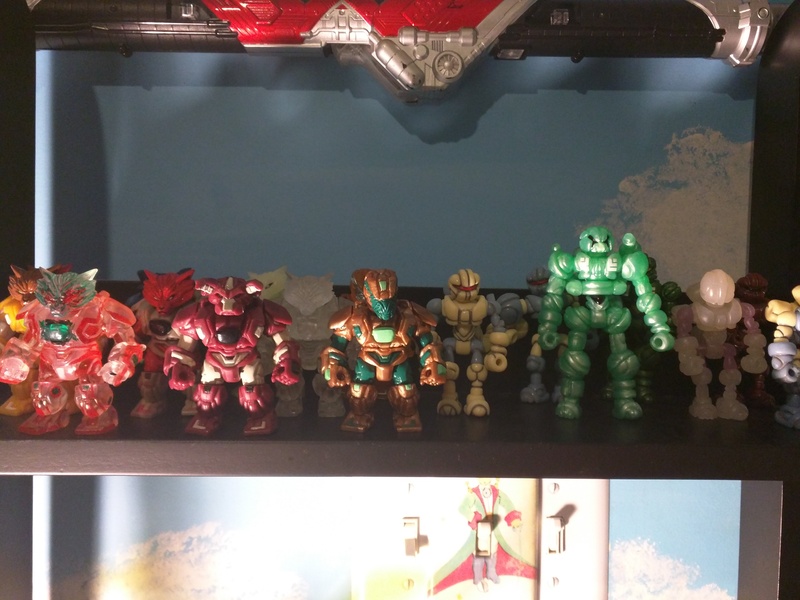 Recently dusted and reset my two main Glyos displays. Haven't been able to squeeze in anything new for awhile. 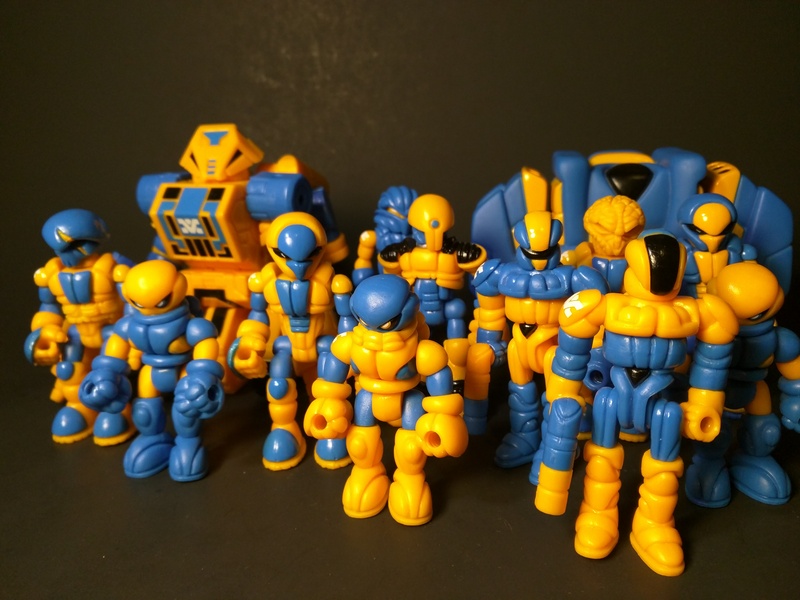 Gosh, I see these threads and I feel kind of...miniscule. But I love these photos we took anyway, and I'm going to share them. 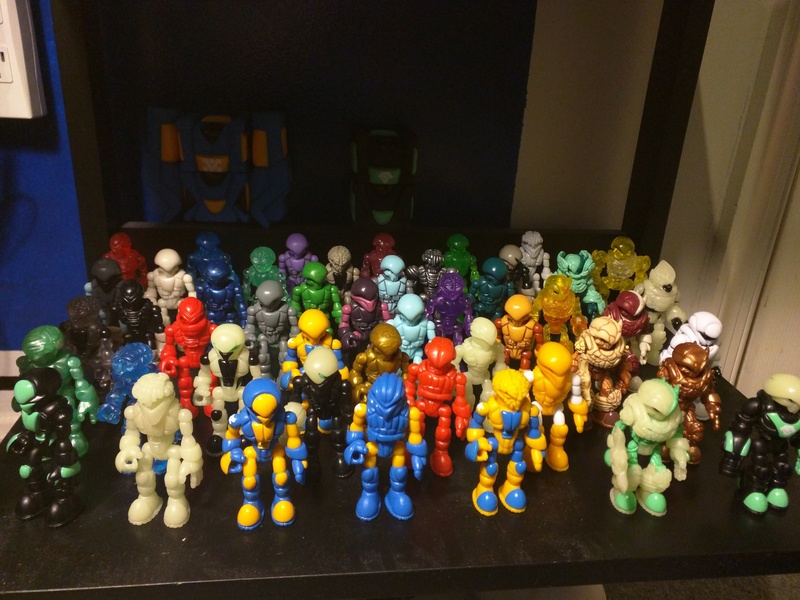 So, here's my meager Glyos collection! AyosireGhosts wrote: Gosh, I see these threads and I feel kind of...miniscule. But I love these photos we took anyway, and I'm going to share them. 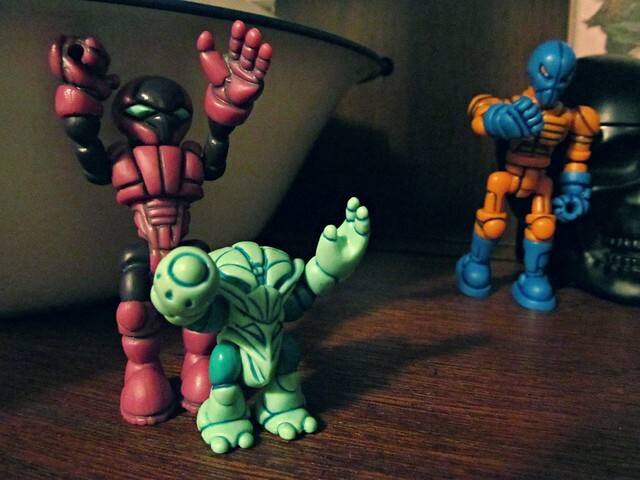 Glyos fits so well with the bright and vibrant nature of Lego. I've been bulking up my Glyaxia forces recently. 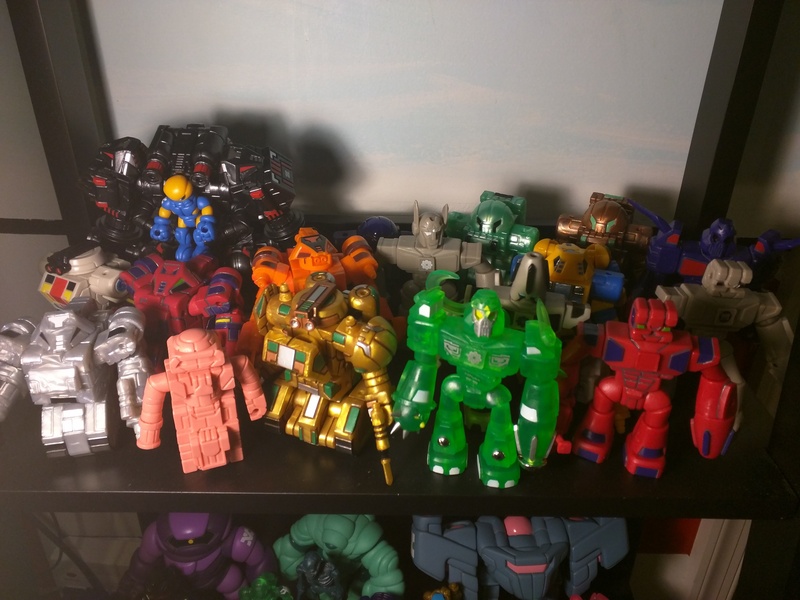 I apologize for the consecutive post, but this is a full updated collection. 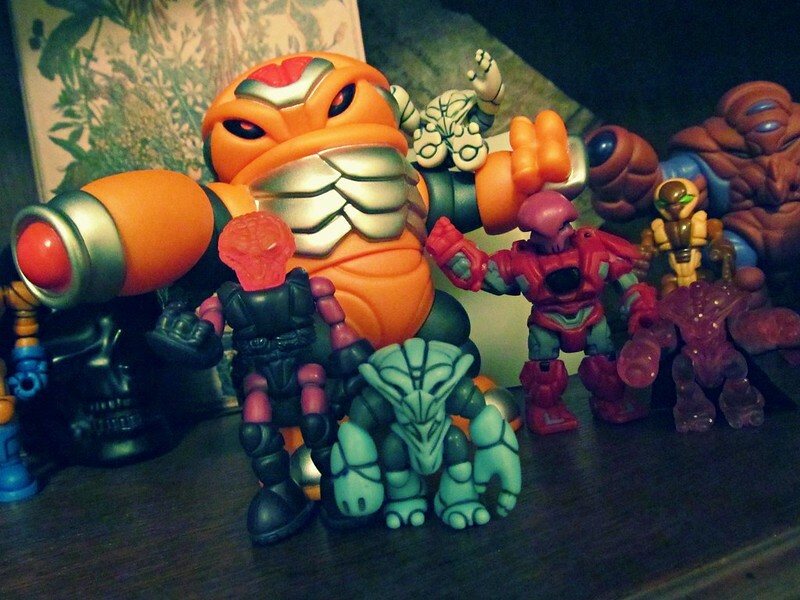 Looks like they should fit Glyos figures quite nicely! Jimmy Christmas, Max, that is crazy. Im jelly of that cool work station! 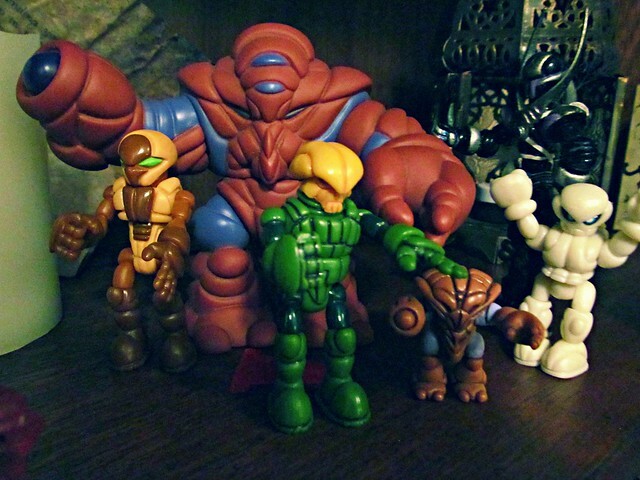 The collective is small. 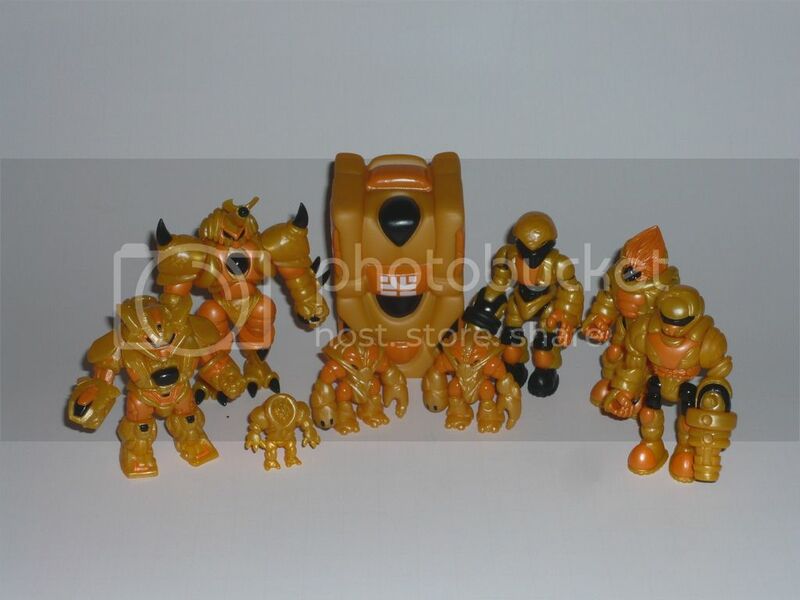 I used to have a few others; original Task Force Vulkriun, a Gobon, a Kabuto Mushi... But I've found that I'd rather update it in small, precise bursts rather than fill up on extras I won't use. That said, I have spare parts kicking around. 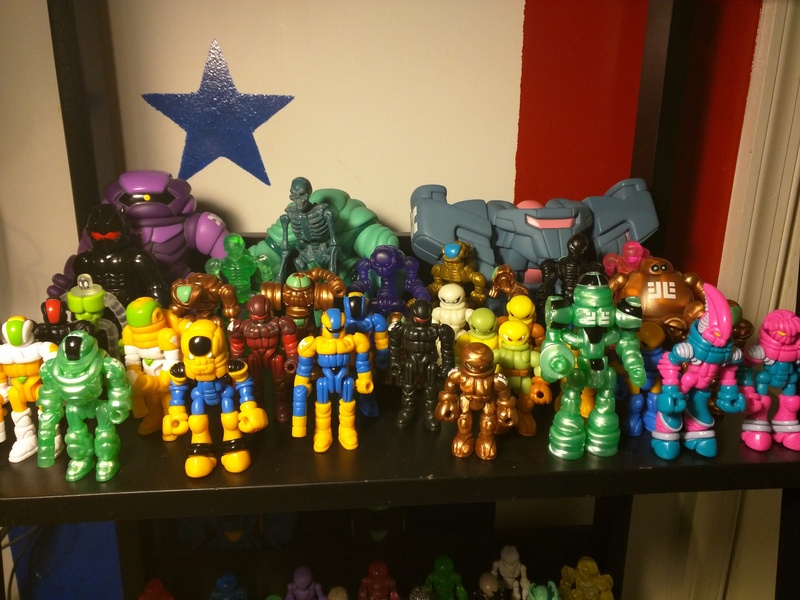 I'd like to own more custom work too. More figures from partnering artists. 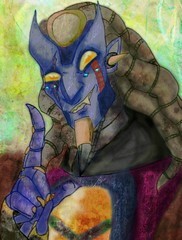 You guys make the neatest creatures!